An annual newsletter is no longer produced, please like our Facebook page to keep up to date. 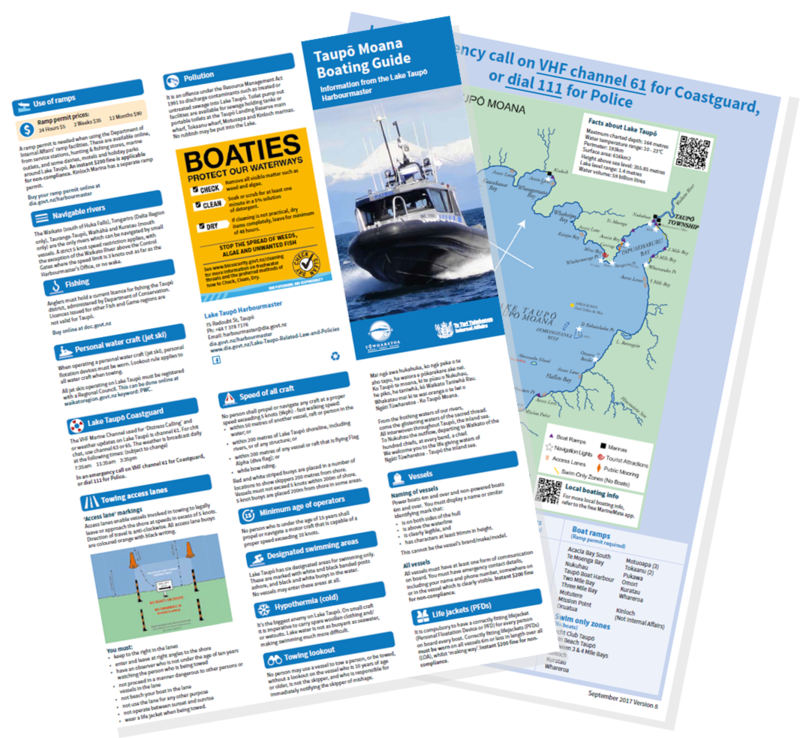 The following brochure provides a summary of the rules for safe boating on Lake Taupō and a map of the Lake. The brochure was last updated in November 2017. Information in this brochure is also available under the Rules for safe boating section on our website. You might like to refer to 'The Lake Taupo Boating and Cruising Handbook' by Michael Drake (email drake_kirk@xtra.co.nz). Note: The Department provides this information as a service. The content or views expressed by the author are entirely his own. Re-use of this information is subject to the author's approval. See our Copyright statement.